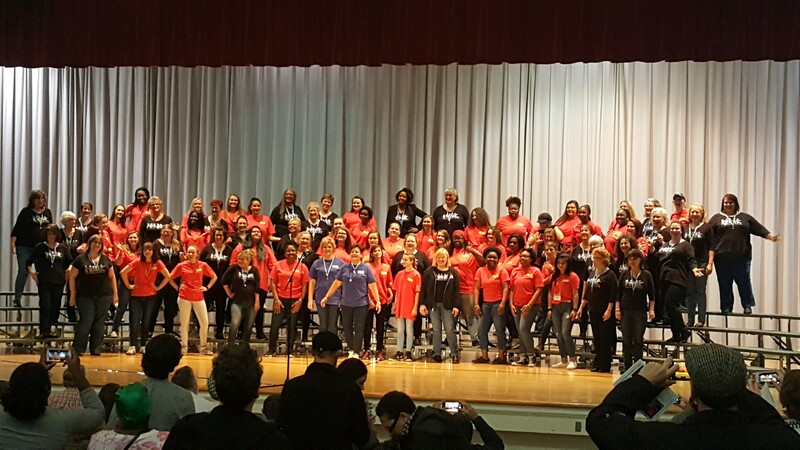 More than 40 young women (age 14-25) participated in the 2018 YWISH (Young Women in Song and Harmony) Festival on Saturday, November 17th. MNC conducted their 8th annual Festival at East Nashville Magnet High School. 70% of the participants came in groups from five high schools, and the remainder represented a variety of high schools and colleges as well as home-schooled young women. The participants registered and received music in October, and came to YWISH ready to work on their harmonies and choreography. After a day of singing and friendship, they join MNC in an evening performance. For the final song, MNC and the girls sang "You've Got a Friend in Me." Next year's YWISH Festival will be held 11/16/19.